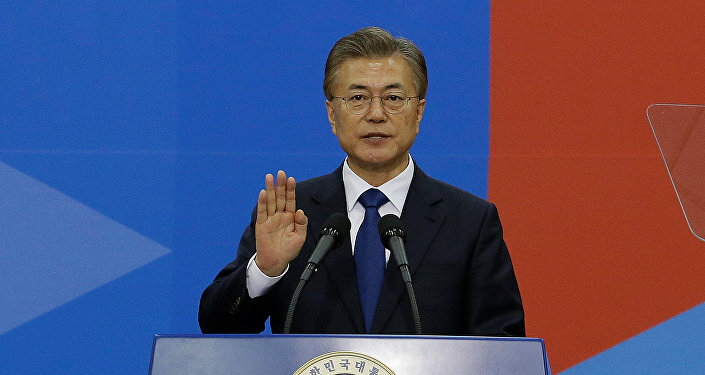 On Friday South Korea’s ruling Party said that it will push for parliamentary hearings to help settle issues surrounding the US’ deployment of its Terminal High Altitude Area Defense system (THAAD) in the Gimcheon and Senjou counties. This effort is being led by the Minjoo Party’s special committee on THAAD, which is headed by Rep. Shim Jae-kwon. The delivery of parts of the THAAD’s battery and radar in late April were met with protests from residents and anti-war activists who say that proper assessments weren’t made to determine the impact the system would have on them and the environment, and that the system’s presence threatens their safety by ratcheting up tensions on the Korean peninsula and in the region. China, who vociferously protested the installment of THAAD, conducted live-fire drills and tested new weapons once the system was deployed, as Beijing feels the system’s radar could be used to spy on their military activity. Washington has denied this, stressing that the system’s sole purpose is to deter provocation from North Korea, who continues their ballistic missile and nuclear weapons development despite UN sanctions. In July 2016 the US and South Korea agreed to deploy one battery by the end of 2017, and the site chose was then turned into a golf course at the Soseong-ri village in Senjou. Was Beijing’s Latest Rocket Test ‘Aimed at THAAD’? In February of this year, family owned corporation the Lotte Group agreed to exchange the golf course with the defense ministry for military land near the capital city, sparking violent clashes between residents and law enforcement. 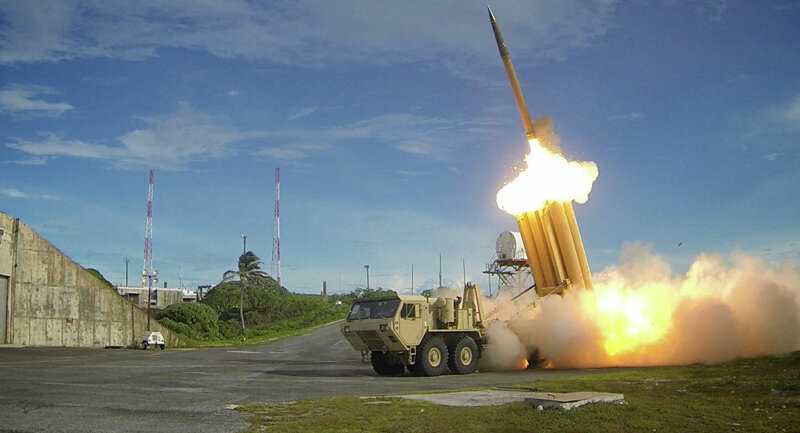 THAAD protesters domestic and foreign have questioned the legitimacy of how the anti-missile system’s elements were transported and its installation in general. In late April residents of Senjou, located in North Gyeongsang Province, said, "The clandestine work to transport some of the anti-missile defense system here pushed ahead by the U.S. Forces Korea (USFK) overnight is nothing short of subjecting us to military martial law," according to the Korea Times. pproved by the residents, nor was any consensus reached at the National Assembly. The whole process is the definition of a total disregard of democratic principles." Shim said that such concerns would be handled at the parliamentary hearing. While South Korea was in the process of electing a new leader, US President Donald Trump rattled the country by suggesting they pay for the THAAD, which he valued at $1 billion. Later, national security adviser, Lt. Gen. H. R. McMaster spoke with Kim Kwan-jin, his South Korean counterpart, reaffirming that Washington would in fact foot the bill for the THAAD system.